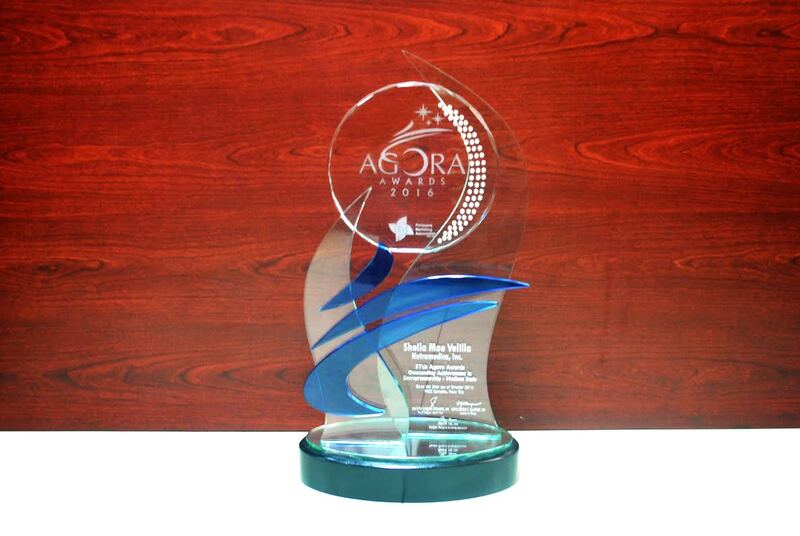 The President and CEO wins in the Individual Category of the 37th Agora Awards. Moving in an industry dominated by giant multinational pharmaceutical companies, Nutramedica’s tenacious rise from its humble beginnings as a micro enterprise is one for the books. Thanks largely to its creativity and innovation, it has become a major player with a well-established niche in the industry. Novuhair’s popularity and market leadership may be attributed to the company’s initial market study coupled with the right timing, as well as smart use of resources by coming up with an effective tri-media campaign best described as low-budget yet high-impact marketing. Leveraging on its organic growth from a micro enterprise to medium scale with over 30 employees in a span of 12 years, Nutramedica continues to further develop, market and distribute high-quality goods that could bring honor to the country. Velilla quotes Steve Jobs when asked what’s her secret to success in this competitive business of beauty and healthcare.